All Conyers SVC - The best HVAC services in town! Keep your home & workplace at a comfortable temperature! Contact Us Today (757) 456-9002! For years, the certified contractors and roofing specialists at All Conyers SVC have been helping residential and commercial property owners keep their properties at a comfortable temperature! We offer a range of services including commercial and residential HVAC services, tankless water heaters as well as natural gas and propane contractor services. Contact us for a free estimate from our certified and licensed HVAC technicians! Let All Conyers SVC help you keep your home warm and comfortable! Whether you are looking to invest in a new heating system, or simply want to repair a current system, you can count on the pros at All Conyers SVC to give you a quick, professional service! We serve both residential and commercial customers, and we service and install furnaces and boilers of all brands, shapes and sizes! Keeping your home at a comfortable temperature is crucial for your family's comfort and health. If you are tired of paying for oil, gas or regular electric baseboard heating, perhaps a furnace is a good option for your Virginia Beach area home! Today's furnaces are up to 33% more efficient than older models, and can provide an economic solution for your heating needs. Aside from new furnace installation, we also provide furnace consultations and repairs. Make sure to get the best advice so you can make the optimal decision. Trust the experts at All Conyers SVC for all of your heating and furnace needs. For all of these options we offer the best installation, consultation and repair services in , Virginia and the surrounding area! Make All Conyers SVC your first call! As the summer gets longer and warmer, more and more people are opting to cool their homes to have a comfortable place to get away from the heat. Whether you want to install your first air conditioning system, replace a broken system, or repair or maintain your current system, the experts at All Conyers SVC have got you covered! Whether you want individual units, or central air conditioning system, the All Conyers SVC have got you covered! We sell and install all types and sizes of air conditioning systems. From forced air systems to ductless air conditioning systems, we have been providing professional and expert service in the Virginia Beach area for over 25 years! THE BEST AIR CONDITIONING REPAIR SERVICES IN THE Virginia Beach AREA! 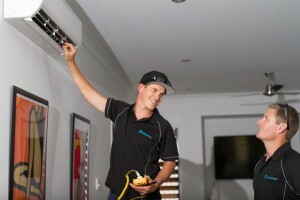 Getting the most out of your air conditioning system is a matter of care and maintenance. When refrigerant levels are low, or coils or coated in dirt and debris, your system will tend to operate less efficiently, driving up your energy bills. Dirty ducts or filters can also cause the system to be pushing dirty contaminated air into your home, potentially causing a hazard for you and your family. Air conditioning systems, like most machines require regular maintenance. Once in a while they may even require a repair. The experts at All Conyers SVC can help keep your system running optimally year after year! 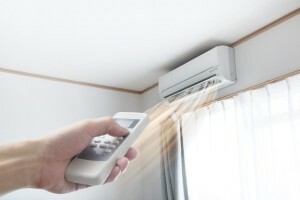 Call today for a FREE estimate on your air conditioning installation or repairs! Only accept the best for your Virginia Beach area home. Trust All Conyers SVC for all your cooling and air conditioning needs! Trust the experts at All Conyers SVC for all of your commercial heating and cooling needs! Climate control in your place of business is crucial for your comfort as well as that of your employees and customers. Whether you are in search of a solution for heating, cooling or ventilation, you can trust the expert team at All Conyers SVC! We install all brands and types of commercial heating, ventilation and air conditioning systems. We have over 25 years of experience serving commercial clients in the Virginia Beach area! Get the best for your business. Give us a call today! If you are having problems at your business with the heating or cooling system, give the experts at All Conyers SVC a call! 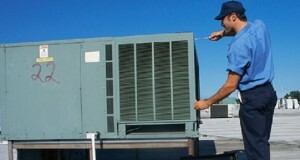 We have over 25 years of experience servicing all kinds of commercial HVAC systems. Call today for a FREE estimate on any of our commercial HVAC services. Proudly serving Virginia Beach, Virginia and the surrounding area.